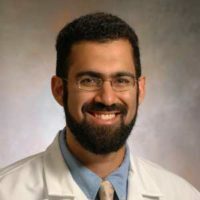 Dr. Aasim Padela is the Director of the Initiative on Islam and Medicine, Associate Professor of Medicine in the Section of Emergency Medicine, and a faculty member at the MacLean Center for Clinical Medical Ethics at the University of Chicago. Dr. Padela holds an MD from Weill Cornell Medical College, completed residency in emergency medicine at the University of Rochester, and received an MS in Healthcare Research from the University of Michigan. His Islamic studies expertise comes via a BS in Classical Arabic from the University of Rochester, seminary studies during his formative years, and continued tutorials with Islamic authorities. Dr. Padela is a clinician-researcher and bioethicist whose scholarship lies at the intersection of community health and religion. He utilizes diverse methodologies from health services research, religious studies, and comparative ethics to examine the encounter of Islam with contemporary biomedicine through the lives of Muslim patients and clinicians, and in the scholarly writings of Islamic authorities. Through systematic research and strategic interventions, he seeks (1) to improve American Muslim health outcomes and healthcare experiences, and (2) to construct a multidisciplinary field of Islamic bioethics. As a Robert Wood Johnson Foundation Clinical Scholar from 2008-2011 he developed a community-based research methodology to study and intervene upon American Muslim health disparities. In 2010, as a Visiting Fellow at the Oxford Centre of Islamic Studies he studied Islamic moral and theological frameworks, and from 2013 to 2015 as a Templeton Foundation Scholar he led a national survey of Muslim physicians’ bioethical attitudes and professional experiences. His current areas of research in cancer screening, end-of-life care, neuroscience and theology are funded by the Templeton Foundation and the American Cancer Society. Presented by the University of Michigan Medical School and ISPU, this unique 2-day conference brings together Islamic scholars and religious leaders, social scientists, health professionals and other stakeholders to discuss Islamic law, bioethics, medicine and health policy. Watch here. Imam in the Middle, but Is He in the Center? A. I. Padela, H. Adam, M. Ahmad, Z. Hosseinain, and F. Curlin, “Religious Identity and Workplace Discrimination: A National Survey of American Muslim Physicians,” AJOB Empirical Bioethics 7, no. 3 (2016): 149–59. 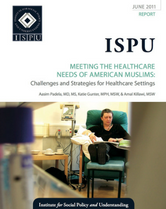 U. Ezenkwele, G. S. Roodsari, and A. I. Padela, “Religio-cultural Considerations When Providing Health Care to American Muslims,” in Diversity and Inclusion in Quality Patient Care, eds. M. L. Martin, S. L. Heron, L. Moreno-Walton, and A. W. Jones (Springer International, 2016). A. Killawi, M. Heisler, H. Hamid, and A. I. Padela, “Using Community-Based Participatory Research (CBPR) for Health Research in American Muslim Mosque Communities,” Progress in Community Health Partnerships 9, no. 1 (2015): 65–74. 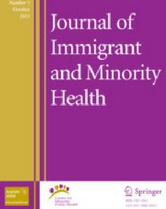 A. I. Padela and A. Raza, “American Muslim Health Disparities: The State of the Medline Literature,” Journal of Health Disparities Research and Practice 8, no. 1 (2015): 1–9. A. I. Padela and F. Curlin, “Religion and Disparities: Considering the Influences of Islam on the Health of American Muslims,” Journal of Religion and Health 52, no. 4 (2013): 1333–45. A. I. Padela, “Islamic Verdicts in Health Policy Discourse: Porcine-based Vaccines as a Case Study,” Zygon 48, no. 3 (2013): 655–70. A. I. Padela, K. Gunter, A. Killawi, and M. Heisler, “Religious Values and Healthcare Accommodations: Voices from the American Muslim Community,” Journal of General Internal Medicine 27, no. 6 (2012): 708–15. A. I. Padela and M. Heisler, “The Association of Perceived Abuse and Discrimination After September 11, 2001, With Psychological Distress, Level of Happiness, and Health Status Among Arab Americans,” American Journal of Public Health 100, no. 2 (2010): 284–91.